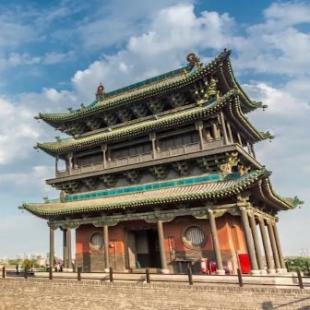 The first Sculpture Projects Ping Yao, a major international sculpture festival, is taking place in the Ancient City of Pingyao, a 2,700-year-old UNESCO World Heritage Site, from July 20 to Aug 20. There is a profound historical relationship between Pingyao and sculpture art because of Shuanglin Temple which is known for its beautiful and unique painted sculptures. Over 80 artists from 10 countries, including China, Italy, Germany, Austria and the United States gather at the event launched by Pingyao government and the Mobius Art Foundation in Austria, exhibiting hundreds of sculptures. By bringing new elements of modern art to the ancient county, the sculpture festival is expected to promote the cultural development of Pingyao and even Shanxi province as well as deepen exchanges between Chinese artists and those from other countries.